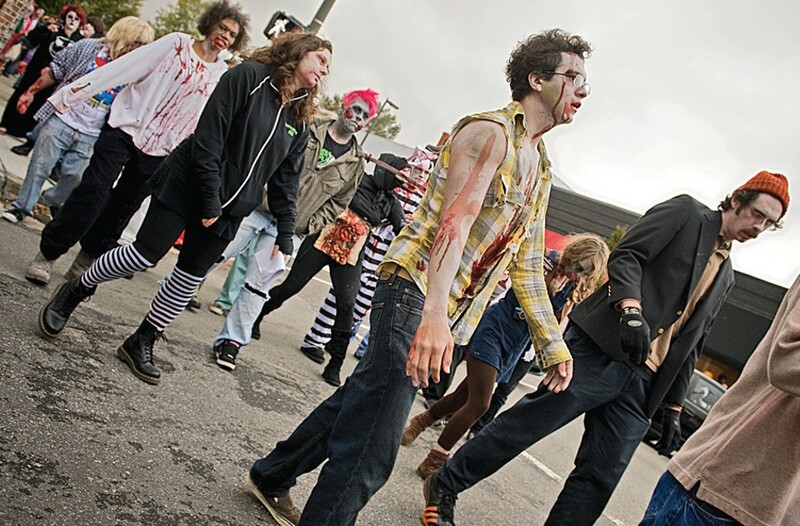 Fourteenth Annual Richmond Zombie Walk in Carytown | Night and Day | Style Weekly - Richmond, VA local news, arts, and events. Yet another reason why October rules. The living dead walk the streets of Carytown in broad daylight, bleeding, hissing and barking at day drinkers and shoppers who mostly cheer them on. Participants come in costume for the pre-walk meet-up at the Boat Lake in Byrd Park at 1 p.m. The zombie walk begins across from the Byrd Theatre at around 2:30 p.m. Organizers suggest a $5 to the American Cancer Society. 1 p.m. to 4 p.m. richmondzombiewalk.com.